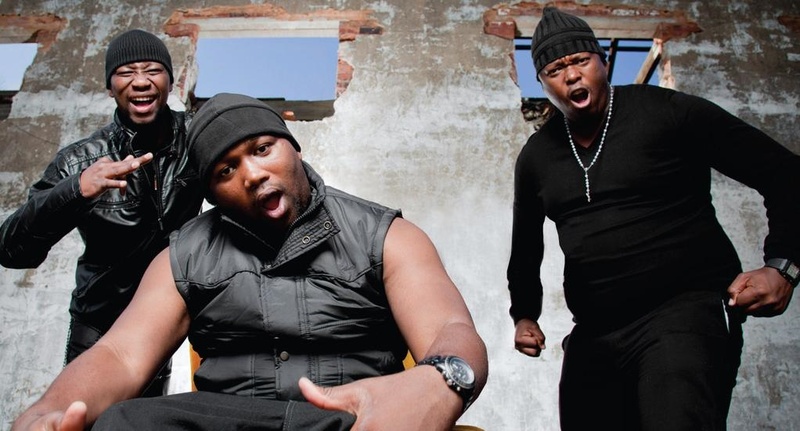 WHEN the three members of popular kwaito group Big Nuz first came to Joburg in 2002 they had big hopes for their music career. But they soon found the climb to the top was harder than they’s imagined. The trio of Mandla Maphumulo (Mampintsha), Mzi Tshomela (Danger) and Sbu Khomo (R Mashesha) from Umlazi, KZN knocked on many doors but no one took much notice. They realised they would have to do something extraordinary if they wanted their dream to become a reality. Then they had a breakthrough with a jingle for the e.tv soapie Backstage and later they performed on the show. “But still no one seemed to recognise us,” said Danger. Then they met Ishmael, who was with the Ghetto Ruff label at the time, and he featured them on his song Boom Boom. Danger told Daily Sun: “We started performing in clubs. We met Kid from Why Not Entertainment and in 2006 we released our debut album, Zozo, through Gallo. Things changed when Tzozo and Professor visited them in the studio. Tira signed Big Nuz and that is when the magic began. Before they knew it, Big Nuz was the cream of the Durban acts. Fans loved their songs Umlilo and Inazo. Since then they have collaborated with popular artists like Slikour, Skwatta Kamp and L’vovo Derrango. They have won MTV Base awards, Samas and Metro FM awards. Currently the group is back in studio recording their new album which they expect to release in August.